TENTS There are 9 products. * Lead time 3 weeks A larger version of the Stealth 1. 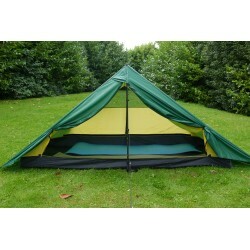 Spacious for one person with the inner tent, the flysheet can be used alone as a tarp for 2 people. 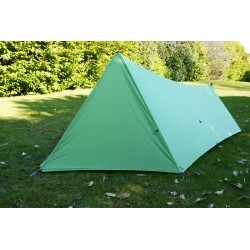 Weighs 690 grams (20d silpoly) and 800 grams (40d silnylon). 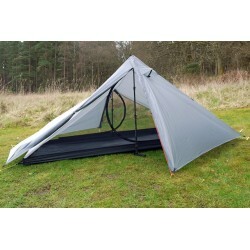 * Current lead time on this tent is 4 to 5 weeks Inspired by the original Phoenix Phreeranger, this is a double sided entry, double walled tent using modern, lighter materials. 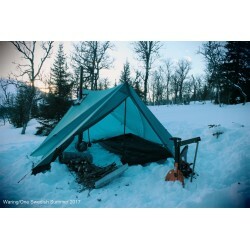 Saor is a 1 person 4 season tent weighing 1.25 kg. 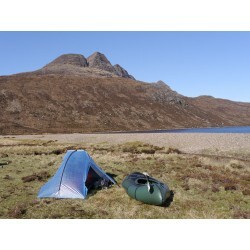 * The Saor tent design is currently being changed to give a smaller footprint and to be completely freestanding. A sub 1kg dcf version should also be available soon. 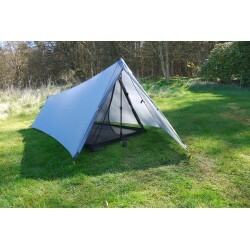 A modified and enlarged version of the Drift 2 flysheet, fitted with snow valances and a stove flue jack for use with a lightweight wood burning stove. For further information, please use the enquiry form. 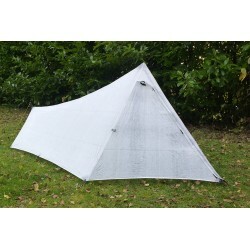 * Current lead time on this tent is 5 weeks A custom version of the Drift 2, same height both sides, with a part fabric inner and inverted 'T' zips for full width access to the inner tent. 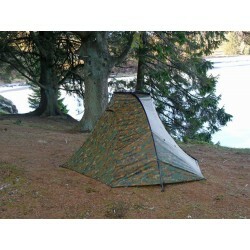 It weighs 1080 grams with a 30d silnylon bathtub floor or 1130 grams with a 40d silnylon floor.